Ten years ago, Tobais Aldirch came across what remained of a MK1 Jetta coupe; it sat nestled in the grass of a yard in rural Vermont -- parked next to it was a MK1 Rabbit GTI. 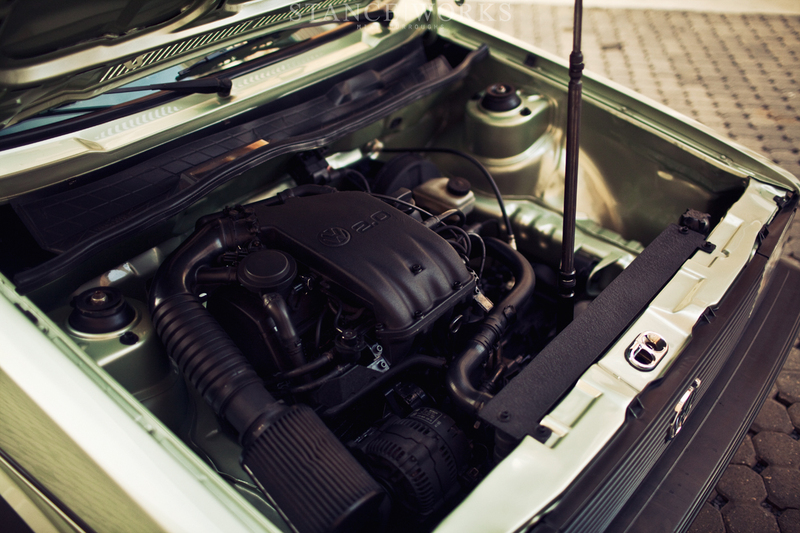 The old Jetta sat without an engine or driveline; its interior had been stripped, and many parts had been donated to the GTI it sat with. However, Tobi saw a diamond in the rough. A decade of hard work has paid off with more than just a beautiful car as a result: it's projects like these that yield many of the very things we live for. We can all trace our roots back to the car -- the one that changed us forever. For some, it's the first time we saw a Dodge Viper; for others, it was the first time a loud, neon-colored Honda passed our school bus as a child. 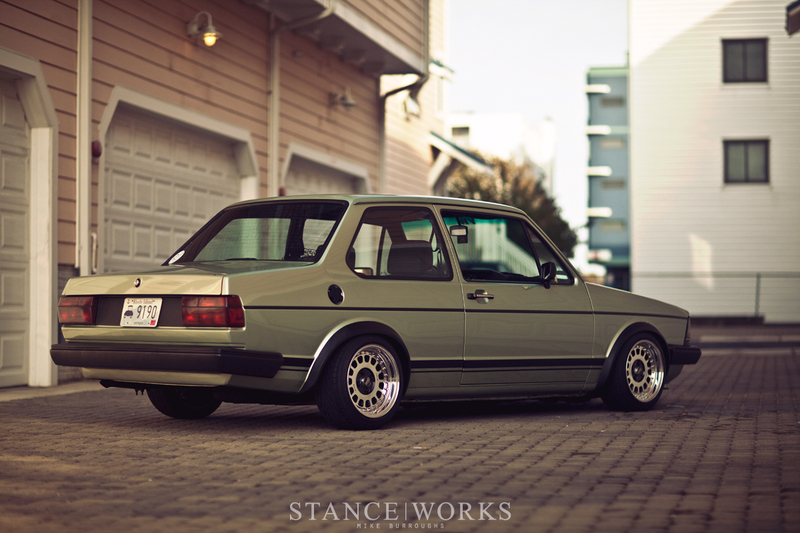 For myself, it was a girlfriend's neighbor's E30 that sat in the driveway every time I went over to visit. There's a pivotal moment in every "car guy's" life when the bug finally bites and we find ourselves unable to rid ourselves of the oil in our blood. Tobi's story begins much earlier than my own: sure to make him feel old, I was only in grade school. 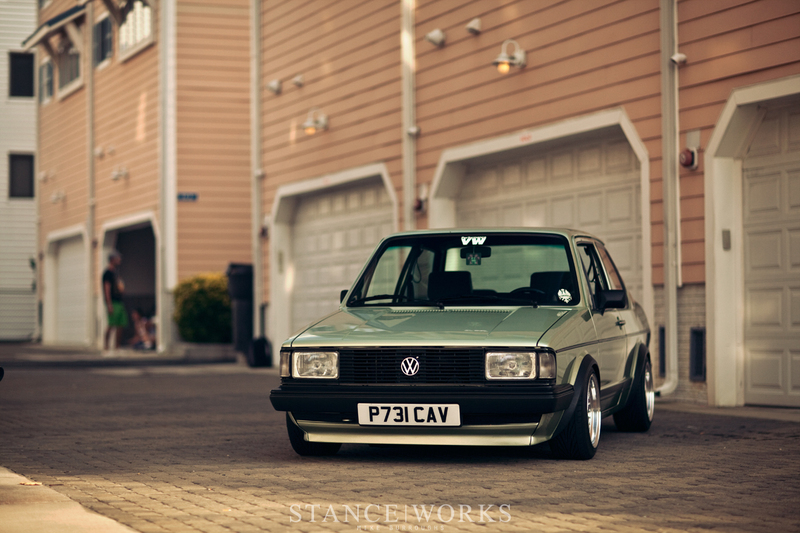 Tobi grew up around a brother-in-law with a MK2 Jetta. "Details evade me now as to why I liked it so much, but I know for a fact that was what did the trick," says Tobi. Unsurprisingly, in 1997 when Tobi turned 15, he picked up a MK2 Jetta of his own. The non-turbo diesel wound up teaching him a thing or two: "I learned a lot about vw’s out of necessity. Whenever something went wrong with my car, I needed to be the one to fix it. I lacked the funds to pay anyone to do so; therefore, my friends and I would work on our cars in mud and dirt driveways." Fast forward another 15 years and you'll find what began as an act of necessity has flourished into that of passion. 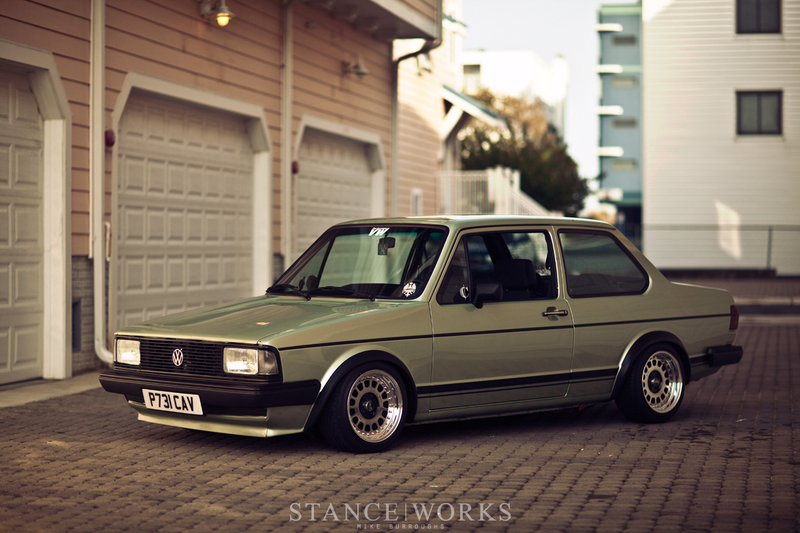 To date, Tobi has owned more than 30 MK1 and MK2 Volkswagens. 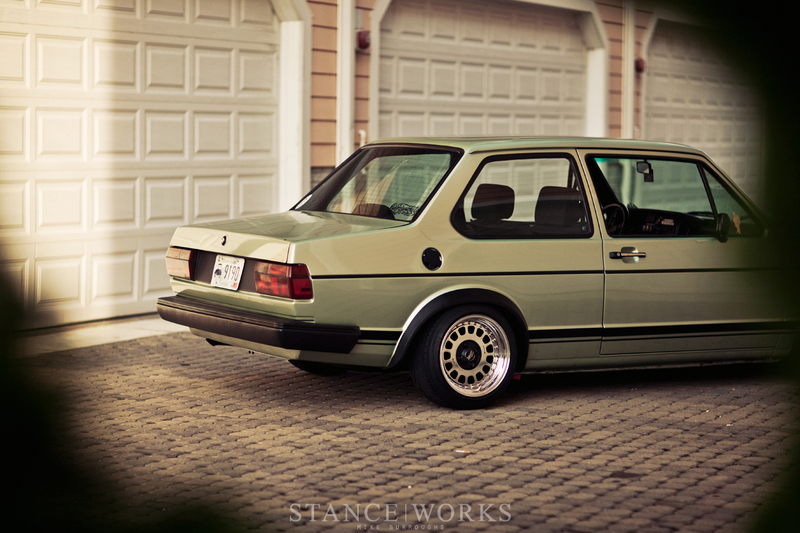 Most of the VWs Tobias has owned have come and gone, some garnering varied levels of attention along the way. One, however, has stayed, and will continue to do so. The lonely MK1 that sat amongst the weeds has become an integral part of life, but it has been a very long road to this point. Rewinding back to 2002, it's a story that feels like love at first sight. On his lengthy commute to a house-painting job during a warm Vermont spring, the maroon MK1 captured his eye. "At the time I didn’t really need another car. I already had a couple of MK2s that I was fiddling with, but I realized that you don’t really see many MK1 Jetta coupes often, and thought it wouldn’t hurt to ask the owner how much he would want for it. On the drive home from work one day, I left a note on the Jetta with my home phone number in hopes that I would be contacted. Unfortunately, cell phones were few and far in between at that time in VT. "
Of course, any car guy who has left a note under a windshield wiper or in the rubber seal of the driver's window knows well the anticipation of a returned call. More often than not, our calls go unanswered, our scrap piece of paper folded up and placed in a kitchen junk-drawer of an owner with no intent to sell. Tobi, however, came out much further ahead than any car guy might expect. A call from the owner led to an invitation to come see the car once more, and after some negotiating, Tobi bought the car for $100, cash of course. Armed with a friend's pickup truck and a tow strap, Tobi and his friend wrangled the car home in a good ol' fashioned "tug-along." "We hooked the car up to the tow rope and I sat inside the jetta on a milk crate, steering and braking, as he drove me 70 miles back to his house. In retrospect, it was very sketchy and I would never be able to get away with something like that today, but that was just the way we did things." Through the years, the once-maroon Jetta coupe has gone through several makeovers, including multiple re-sprays, now standing with a beautiful OEM MK1 VW color: Inaris Silver Metallic. Tobi's attention to detail springs from his choice of career as a scenic artist for films and commercials. There's a decent chance that you have no idea what that is, as I did not either, but Tobi explained it well. "I work on basically anything the viewer sees behind the actors. It may be something as simple as painting walls, or making artificial trees and rocks seem lifelike, or using techniques to make a rubber mold of a prop look realistic." 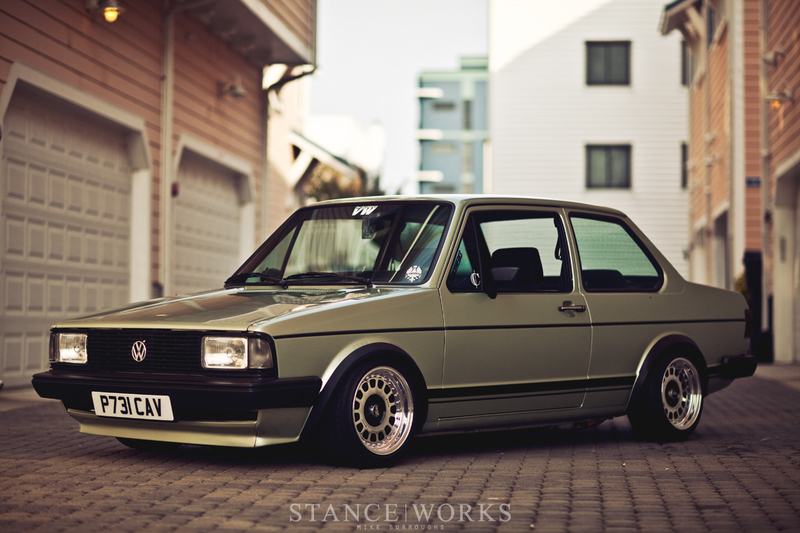 It comes as no surprise then that his MK1 would shine as true piece of art. With a plethora of details worth noting, it proves difficult to decide where to begin when attempting to showcase the little green coupe. From immaculate bodywork and the nuances of shaving and detail work, to the perfect interior fitted with VW Motorsport goodies and rare options to make any VW nut go wild, Tobi's car has it all. What placed his car on the map, however, is his all-black drivetrain. Wanting the car to stand out, Tobi knew he needed to do something unique, but without a deep wallet, it left few options on the table. After realizing that he had never seen anyone try such a thing, Tobi looked past the tried-and-true "chrome everything" and went with Henry Ford approved black. "At the time (2006), it was so different that when the boys of “PVW” saw it in the flesh, at Primer, they immediately wanted to shoot it for the magazine. It had no wiring and was not close to being finished in its current phase. I was very flattered but asked to wait until the car was “completed.” Tobi has kept it the same for a number of years, but the rest of the car has evolved quite heavily. Under the car sits a set of 14x8 Image Billet 60Ps, brought over from Europe. After receiving them, Tobi disassembled them to fully polish the faces and lips, as well as replace the original allen bolts with chrome 12-point hardware. 2" lips in the front and 2.5" lips in the rear give the square wheels a staggered look, and the Toyo T1-R 195/45/14 tires fill the wheel wells perfectly -- that is until he finds something else - Tobi hopes to sell the classic Images to take the car to it's next stage. 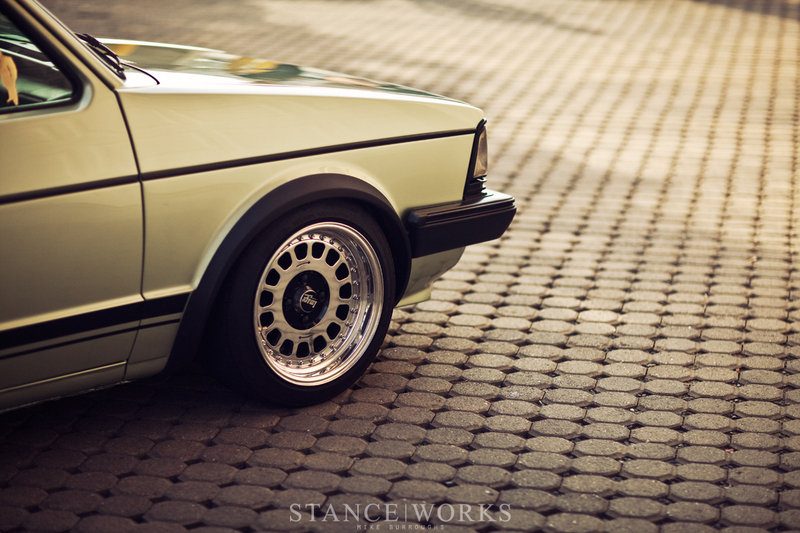 Hunkering the car down over the tiny wheels is a set of H&R "Ultra Ultra Lows" and an assortment of chassis parts such as Ingalls Engineering rear toe and camber shims, shortened front control arms, shortened 16v Scirocco axles, and a custom oil pan. Chopped down a full inch from stock, the custom pan gives the car some much-needed asphalt clearance. Built by Fastmaxxcooper, Tobi says it features a custom kickout in the rear to retain more oil than a stock pan, and it's quite the welder's work of art. The outside of the coupe is bound to attract attention from passers by and VW enthusiasts alike. The perfect, smooth paint shines, assuredly leading children and the elderly to ask "what kind of car is it?" The VW fans might immediately notice the subtlety of the work that has gone in to the car: the hood release, rockers, lower-front fender attachments, antenna, windshield squirters, bumper exhaust cut out, rear tow hook, and the vertical body seams under the tail lights have all been shaved. The headlights, grille, bumpers, corner lights, and the rear plate tub have all been swapped over to their European counterparts. 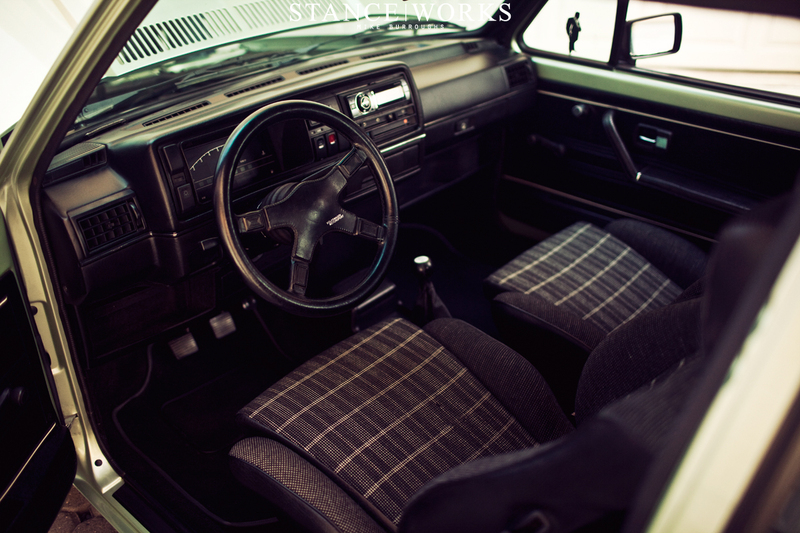 Inside the car, the aesthetic is carried through. 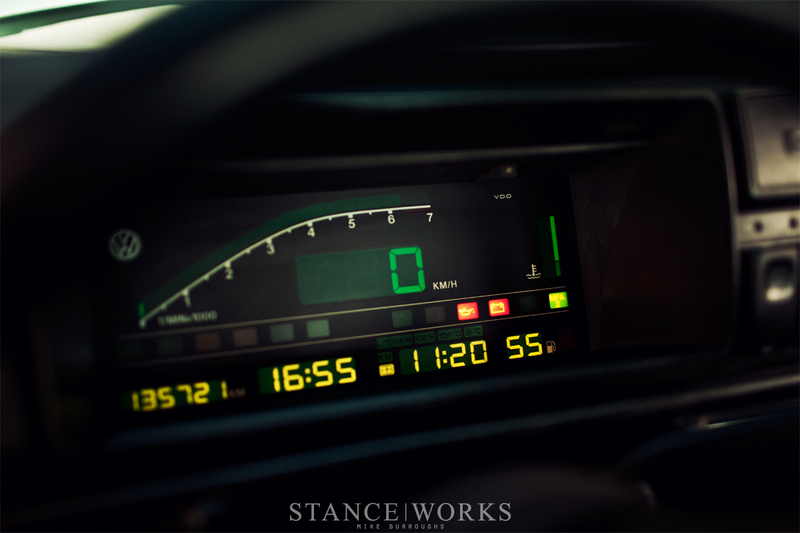 In the dash sits a retrofitted "digifiz" gauge cluster. Very few were made, as the option, only available in '88 and '89 models, was very expensive and only available in Europe. 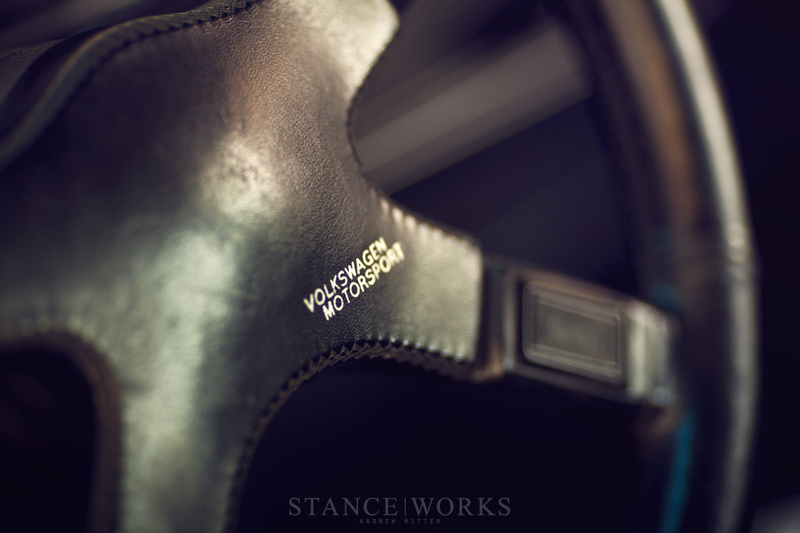 Adding to the rarities found inside the car are a VW motorsport steering wheel and shift knob. Other unique and oddball parts complete the MK2 dash and center console swap, fooling anyone who doesn't know any better that this interior is all-original. That only scratches the surface of the work that has gone in to Tobi's MK1, which would have been impossible without the help of several friends. Tobi spouts off names such as Yarrow of Yarrowsport, Jesse of Banchwerks, Jodi Doyle, James Clark, Andy Dixon, and others. "Over the years, working on this car has been a great sense of accomplishment for me. Not only for the build itself but also for the friendships that it has helped me to make and strengthen. I think that the planning and developing of ideas with others and seeing them come to fruition may be more satisfying than using the car itself." 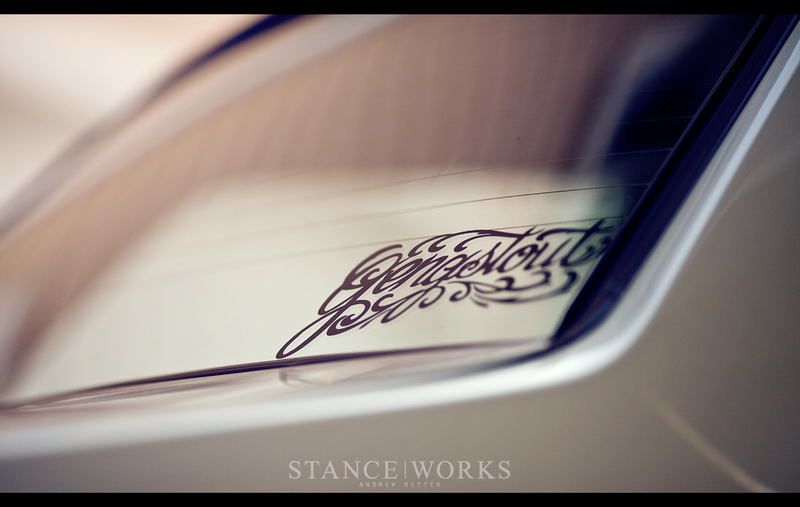 That, of course, is the essence of car building and what StanceWorks aims to celebrate. Tobias has played a major role in the New England Volkswagen scene, which tops the list of VW scene locales, followed by Florida and the PNW. 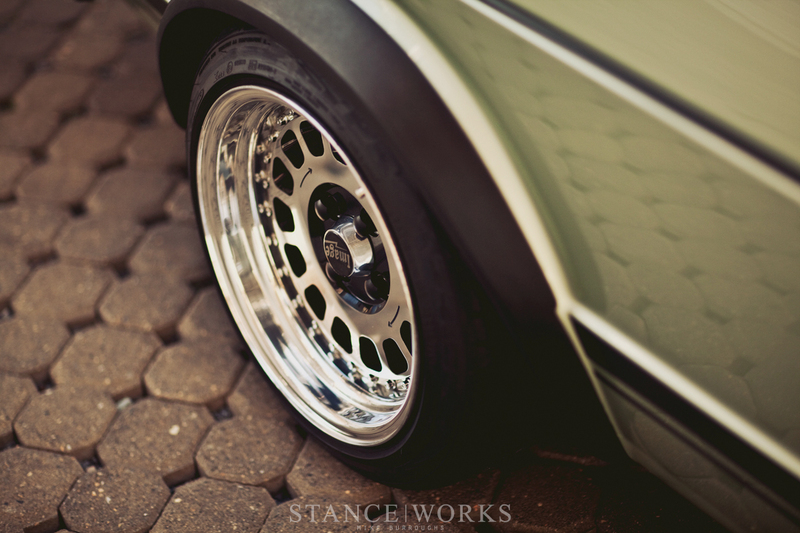 The New England scene is home to countless car clubs, groups, and crews, several of which Tobi has been a part of throughout his years as a Volkswagen fanatic. "I have been able to be a part of Broke Status, Gengstout, Banchwerks, Yarrowsport and Get Low. They are all close knit vw groups and I have learned, from them, that this community is much more than cars. It’s about life-long friendships which happen to be connected by cars. Even though I don’t see these people every week or every month, we are always able to pick up right where we left off." In a sense, Tobi's car is simply a means to an end. He still takes pride in the little coupe, and enjoys every minute of wrenching, but he'll be the first to say that' it's more about the bigger picture. "The friendships are much more important than any VW. You don’t need a lot of money to make a nice car. I think that all you need is time, patience, and great friends to enjoy the process and make memories doing so. I just hope all the friends who have helped me are aware that everything that they have done to help me with the car has meant a great deal. I am very proud of my little project and I will most likely keep it forever. Not because of its physical value, but because of all the time and memories that come attached to it." 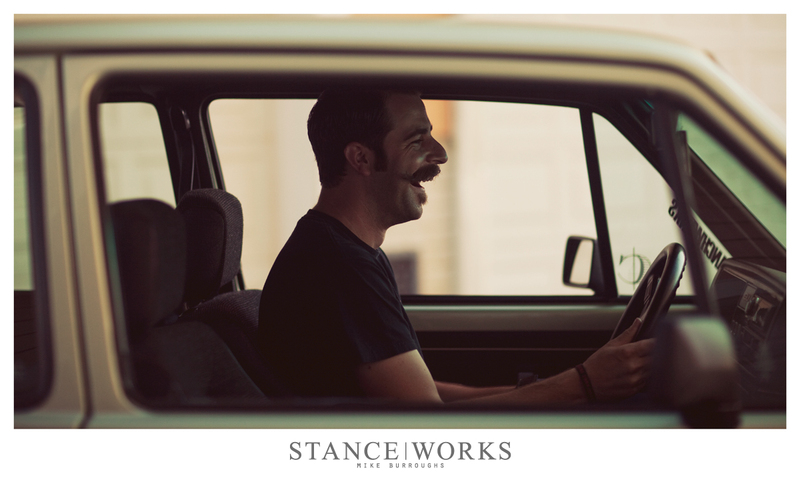 It's this very idea that Tobi is embracing that takes this from standard StanceWorks feature to something much greater. From a car worth sharing attached to a message worth shouting; these cars bring us together and form friendships that last a lifetime. 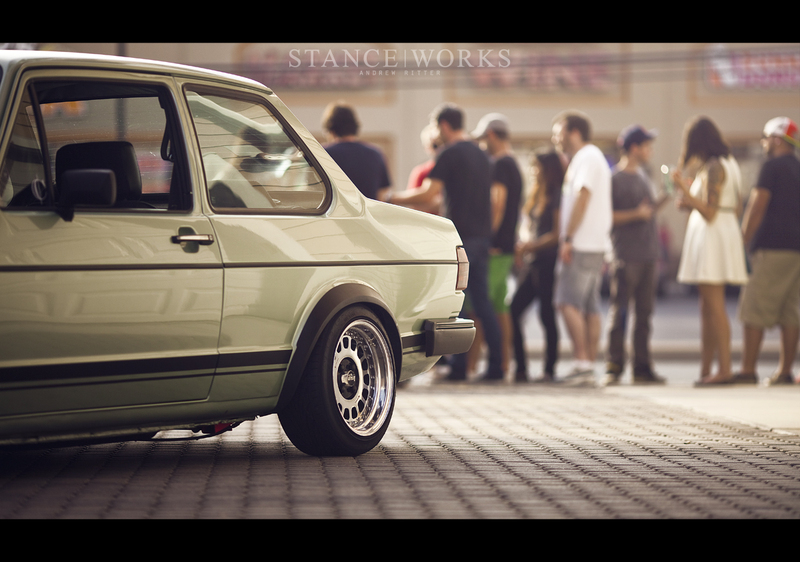 I know we here at StanceWorks are not alone in anticipating next year's H2Oi to spend with our newest friends. love it,the digfiz display looks like the one opel had mounted on the old kadett gsi.